This image is a composition of SOHO LASCO C2 image taken at 13:46 UT with wide-angle total solar eclipse image from Gabon. 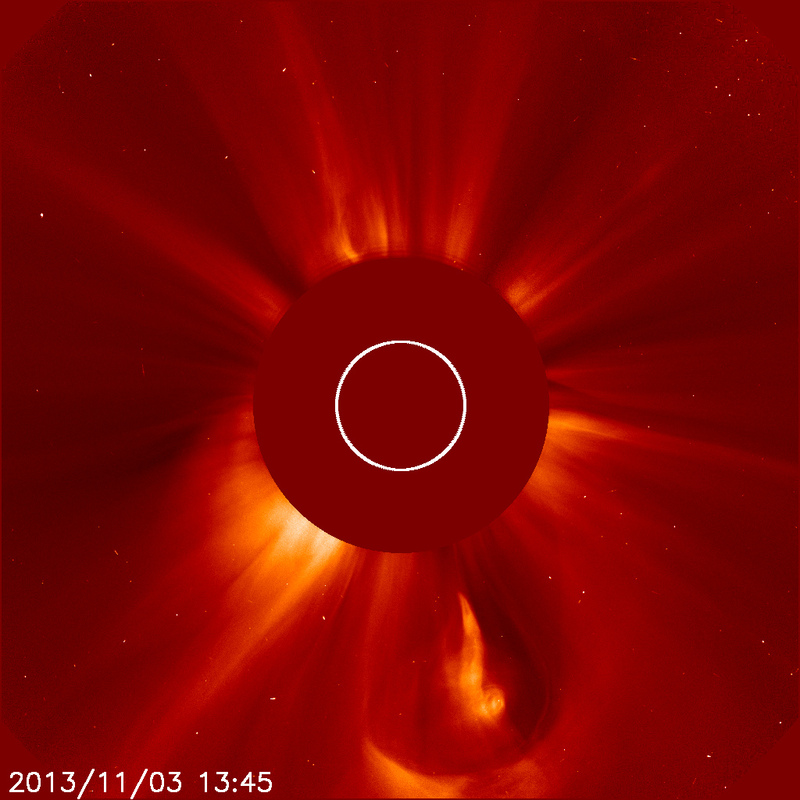 Processing Composition of SOHO LASCO C2 and 117 eclipse images, (1) 66 images, (2) 51 images. 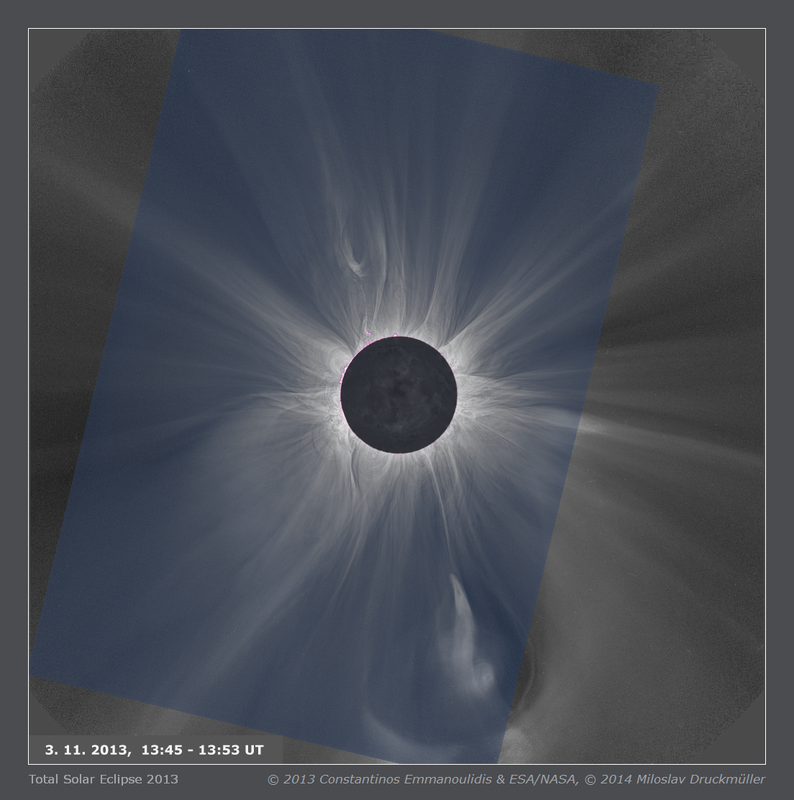 Eclipse images were calibrated by means of large number of dark frames and flat-fields, aligned by means of phase correlation, composed by means of LDIC 5.0 software, processed using Corona 4.1 in order to visualize coronal structures. Final processing was done using ACC 6.1 software.